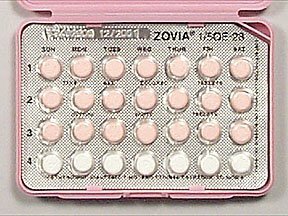 About one million packets of Pfizer contraceptive pills are being recalled in the US, as they might not prevent pregnancy. The pharmaceutical company Pfizer said a “packaging error” meant the doses were not correct. Pfizer said the tablets did not pose any health dangers, but there was a risk of “unintended pregnancy”. The company is advising women affected to use non-hormonal forms of contraception immediately. Fourteen lots of Lo/Ovral-28 tablets and 14 lots of Norgestrel and ethinyl estradiol tablets have been recalled. The lot numbers have been published on Pfizer’s website. Throughout the month women would take 21 tablets containing active ingredients and seven which were inert. Women affected have been advised to tell their doctor and return the tablets to their pharmacy.